If you like Goody's powder on Facebook, you can get a coupon for $2.00 off. This is on sale at Walgreens through Saturday for $1.50 each and you will get a $1.50 RR when you buy 1. This is a $2 MM!!! Make sure you add something else to your cart, because Walgreens won't give you the overage. Here are some deals I found on Amazon today. Please remember that Amazon will change prices without notice. These are great deals to add to your Christmas stash for your kiddos. The Crayola Glow Explosion Spin Magic is marked down from $29.99 to just $8.65. The Monopoly Deal Shuffle Shaker is marked down from $15.99 to just $5.13. The Pretend and Play Work Belt Tool Set is marked down from $36.99 to just $17.61. The Syma S107/S107G R/C Helicopter - Red is marked down from $126.95 to just $21.75! The LeapFrog Leapster 2 Learning Game System - Green is marked down from $69.99 to just $40.25. The Alex Ready, Set, Go! Red Trike is marked down from $199.99 to just $79.99! Walmart currently has Nexcare bandaids on rollback to just $1 a pack. Use this coupon, to score them for FREE! Add 4XGHB4HPE7PB7NK to your Pampers Gifts to Grow account for 10 points! Expires on June 4th at 11:59pm CT.
We use our Pampers GTG points to help with Christmas gifts for our kids. 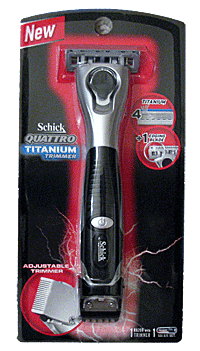 $4 off ANY Schick Quattro Titanium Trimmer Printable Coupon! These often go on sale or on Extra Care or Register Reward Deals. This coupon expires on 12/31/11! Print it now and wait for a great sale! FREE $5 off Bounty Coupon every Friday in June! Get a FREE $5 off Bounty Coupon starting on Friday June 3 for the first 5000 people! 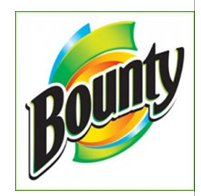 Each Friday in June Bounty will be offering $5 off coupon, which is good on ANY of their products, so you should be able to get these for FREE! Free 8x10 Photo Canvas.. You just pay shipping. There is an unadvertised Register Reward deal for V-8 Fusion that makes it a GREAT deal this week! Stack the printable coupon, the in ad coupon and the Register Reward to grab a deal on these. 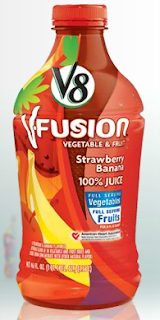 Get a $3 Register Reward WYB (4) V8 V-Fusions or $1 Register Reward WYB (2). I found some more match-ups for you. Remember Marsh and all Marsh owned stores will triple all coupons $1 and under through today Please be respectful when you are shopping. The stores were not of aware of this promotion until Thursday and Friday, so they weren't ready. Remember on Bricks coupons, that you can hit your back button and print a second copy. Red Gold canned tomatoes $1.00 each - - Use this coupon for $1 off 3 cans = 3 cans for Free. I'm hoping these prices are correct. Please forgive me they aren't. I went to the store with 4 kids in tow and am 7 months pregnant. Hopefully this can help someone. Marsh is tripling all coupons $1 and under through Monday. Here are some of the deals I found with printable coupons. Bar S Franks - $1.29 $1/2 Bar-S Jumbo Franks = 2 free! If I find anymore, I'll post them for you. 45 count of Zyrtec Allergy for just $10.87 shipped! Right now on Amazon there is a $6 Coupon you can clip which makes for a good price when you stack that with Subscribe and Save. The coupon is below the size choice for this product. Click on the coupon and then click "Subscribe and Save"
Pay just $10.87 Including the 2 day Shipping! Check out these awesome deals I found! These would be great to put away for birthdays and Christmas. These will all ship free with Amazon Prime! U-Build Mouse Trap Game is currently 75% off at $5. The Toy Story Action Links Junkyard Escape is currently 59% off at $16.49. LEGO Disney / Pixar Toy Story Exclusive Special Edition Set #7591 Construct a Zurg is currently 55% off at $17.17! Horse Show game is currently priced at $6.44, which is 57% off. Caring Corners - Mrs. Goodbee Interactive Dollhouse is 41% off at $49.99! This is our FAVORITE doll house! Toy Story 3 Buzz Lightyear Spaceshooter is 44% off at $12.39. Crayola Tadoodles Scribble and Sing Art Station is 76% off at $10.00! Jumbo Magneatos 24 Piece Set is 67% off at 25.20. Toy Story 3 Buckaroo is 50% off at just $11. Kid's Twist"N Sort in Multi Finish is 77% off at just $13.87. Bilingual Advanced Learning Children Laptop - Color Vary is 75% off at $25. Learning Resources Gears! Gears! Gears! Oogly Googly (Set of 100) is 45% off at $24.92. These were the prices at 8:45am on 5/10. Amazon changes prices very quickly.